"The whole experience was entirely professional and satisfactory. Thanks for everyone's help!" One starry night, the baby Jesus is brought into the world and a bright, twinkling light signals to the world that the new Savior is born. As everyone rejoices, King Herod becomes jealous and threatens the Christ child. But a courageous and unlikely pair - an ox and donkey living in the stable where Jesus is born - spring into action to foil his evil plan. As the ox recruits other barnyard animals to help slow down the king's soldiers, the donkey guides the baby Jesus, Joseph and Mary to safety. This delightful animated tale is the perfect Christmas gift for the whole family. This Day of Discovery DVD will deepen your appreciation for the miracle that unfolded in Bethlehem 2,000 years ago, and lives on today in hearts throughout the world. The Heartwarming Holiday Movie That Inspired "The Waltons"
Not a big fan of this movie nor was my 9 year old daughter. 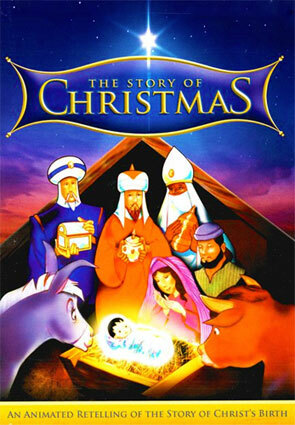 It seemed to be more about people being mean to each other and being mean to animals than the birth of Jesus. At one point the main character, a donkey, was told it would be sent to slaughter. I wouldn't recommend for anyone under 8 years old and may find another movie altogether to watch. Hope that helps!